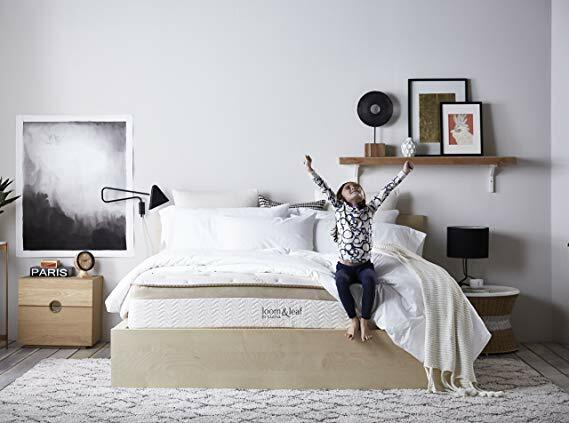 A large number of people saved money on the cost of a new bed by putting a foam mattress topper on top of an existing box spring mattress. This means that people who have no experience with memory foam beds need to know how to clean memory foam mattress topper pads. We’ll tell you how to do it right. The first step to cleaning a memory foam mattress topper is using the handheld soft brush attachment of your vacuum cleaner to clean the surface of the mattress topper. Don’t run the full vacuum cleaner over the memory foam, since this could rip up the memory foam. This will pick up dust, dander, debris and crumbs from the surface of the memory foam. If nothing else, you want to do this at least once a year. If the mattress foam topper doesn’t have any stains or smells, you can jump straight to cleaning it. Put the memory foam topper in your bathroom or on another floor you wouldn’t mind cleaning. Now you can spray it with a mixture of gentle, dye-free laundry detergent mixed water. Don’t get it too wet. You do not want water to soak into the layers of the mattress topper, since it is a natural breeding ground for mildew if it remains wet. Spray it lightly with clean water to rinse away the cleaning solution like enzyme cleaner. Use a clean, damp cloth to pull up moisture from the mattress. Then let the mattress dry out. What if you have stains on the foam mattress topper? You could sprinkle a little boric acid on the stain, then blot with clean damp cloth until the acid and stain is gone. The only exception here is biological messes like poop, pee, vomit or blood. In these cases, your best bet is an enzymatic pet stain cleaner. If that’s not available or this is a brand new stain, see if you have meat tenderizer in the spice cabinet; that will do a good job of breaking up the proteins in those stains so that you can lift it up from the mattress layer. Yet another option is a mixture of hydrogen peroxide and dye-free detergent plus a tablespoon of salt. This wasn’t our first recommendation because the hydrogen peroxide could stain the mattress topper. This mixture could be your second solution to cleaning up biological messes if meat tenderizer or pet stain cleaner wasn’t good enough. After you’ve applied the cleaning mixture to the stain, dab or blot it with a damp sponge or cloth to get some water into the upper layer of the mattress topper. Then use a clean sponge or cloth to soak up the diluted mess. Don’t use the dirty sponge or cloth on other parts of the bed or you’ll just spread the mess. Don’t forget to thoroughly wash these sponges, towels and wash cloths after you’re done. Once the stains have been lifted, there may be moisture in the mattress topper. The solution here is to dry it out thoroughly. If you only cleaned a couple of trouble spots, this is the time to clean the whole mattress topper’s surface before drying it out. If there are any remaining odors or you’re concerned about dampness, sprinkle it with baking soda. Let that sit for an hour before vacuuming it up with the gentle brush attachment for your vacuum cleaner.